Suddenly there is a flurry of activities. Construction projects to be exact. Bridges and short roads top the list. They are everywhere, especially in the cities. In the rural areas, Minister of Transport and Public Works Jappie Mhango could be the busiest person. He has been launching one bridge project after another. Each one of them, costs not less than K500 million. After a lengthy recruitment freeze in the Civil Service since 2015, government is opening up. It will this year employ over 2 000 interns. The budget for that is a cool K10 billion. Suddenly, government has enough money. Malawi Revenue Authority (MRA) has stopped under-collecting. This week, it announced that it has surpassed its target by K11 billion during the months of July and August. The revenue collecting body expects a further improvement in the first quarter of the 2018/19 fiscal year. This was unheard of only a year ago when it missed its mid-year target by a whopping K41 billion. But what has changed? MRA, which this financial year projects to collect K961 billion, 14 percent above last year’s revenue collection projection, has attributed the windfall to the new Integrated Tax Administration System known as Msonkho Online aimed at improving administration and enforcement of domestic taxes. Politicians in government are also splurging out largesse every other week. Holding political rallies and whistle stop tours every other day. The functions are well attended. They are cash cows for some members. Companies making party regalia are cashing in on the new craze. You cannot blame them. They are in business. Against the background of the windfall, Ministry of Education, Science and Technology can afford to tell parents and guardians to keep the money they may have saved for tuition fees for their wards in public secondary schools. Never mind the condition of the schools and how poorly resourced they are in terms of learning and teaching materials. Public hospitals are worse. From overcrowding to perpetual shortage of drugs—a third of which end up in private clinics and hospitals—to dilapidated equipment. Pilferage is the order of the day. The State power utility Electricity Supply Corporation of Malawi (Escom), facing a K50 billion deficit is struggling after Treasury refused to bail it out. At least there is a semblance of fiscal prudence. Why not coming hot on the heels of the malfeasance that has rocked the institution? The organisation has lately been in the news for wrong reasons, allowing 3.4 million litres of diesel meant to power the gensets leased from Aggreko to be “stolen” on its watch. This is the same organisation which has thrown over K10 billion into the water by procuring materials it may never use in the next 10 years. There is no disputing that we are heading into an election year. Government wants to be seen to be active, trying to deliver on the promises it made in 2014. It has thus gone into an overdrive. Maybe we should be having elections more often. They are good for development. That is why I believe when Vice-President Saulos Chilima says if his United Transformation Movement (UTM) forms the next government it will create one million jobs within one year. He knows where the resources to spur economic development—a prerequisite for the creation of jobs—will come from. 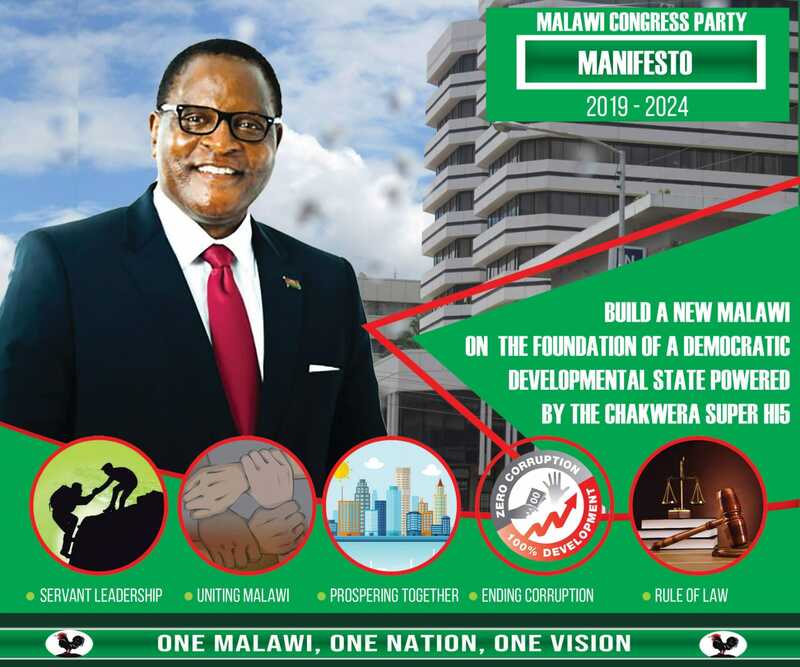 Malawi Congress Party (MCP) president Lazarus Chakwera in 2014 also promised to create a million jobs in the run-up to elections that year if elected into government. The Democratic Progressive Party (DPP)-led government has just shown how it is possible to stimulate economic activity with the resources we have. At the pace government has suddenly started implementing infrastructure projects, it is possible. The bridges and road projects are all locally funded. Even with the World Bank holding back the K60 billion it promised for direct budgetary support, government will not stop the projects it is implementing. Not with elections around the corner. Why did government not start implementing these projects in 2015? Where was the money that MRA was collecting all these years going? I do not want anyone to tell me MRA was under-collecting because the economy was comatose. Democratic elections are good. They get governments into hyperactivity. kkkkkk abale kodi ali ndi clip ya zambian news reporter uja – 26 miles across ocean bridge in 4 years- then come zambia constructing sanza ya mseu for the same amount of billions .you compare and judge it yourself. ku zomba kunali bridge ya zipapati ya K1.2 million kwaca.